Cycled to West Mall's library to borrow an item. Haven't been there for at least 3 years. 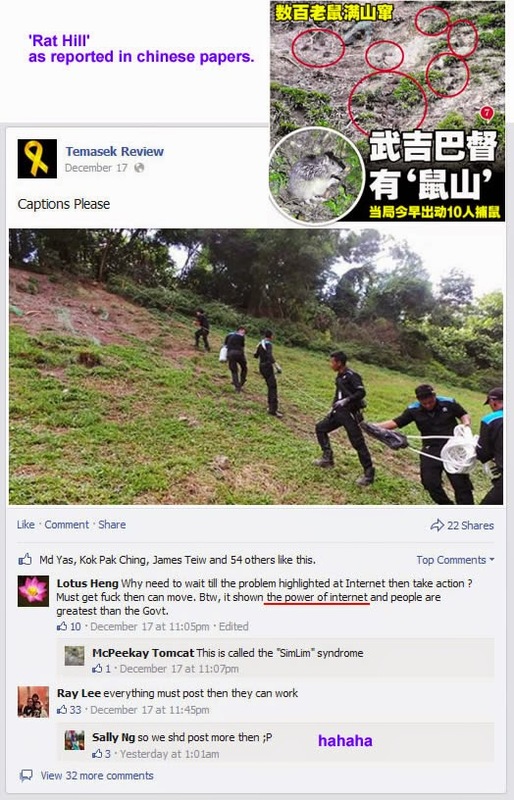 That area was in the headlines in december last year due to rat infestation on Bukit Batok hill. The rat infestation was exposed & quickly ignited into a firestorm online by someone on the train platform taking a video of the rats running amok. I'm aghast that the hill is becoming 'botak' due to so many trees being chopped down as i rode passed. Oh gosh to mother nature! Train station on the left. A lorry(bottom left) is hauling away fallen trees with its boom extender arm. I went to examine the perimeter fence & found that it is old & rusty. To double-checked, i enquired with a resident & she said that the perimeter fence surrounding much of the hill is already there before the rat infestation. Pest busters on the slope beside the train station. The rat infestation has been resolved by pest busters hired by the authorities at a rather hefty price per rat. How come still need to 'raze' the hill? Razing the hill to become barren to make it easier to spot rats should those pests reappear again? 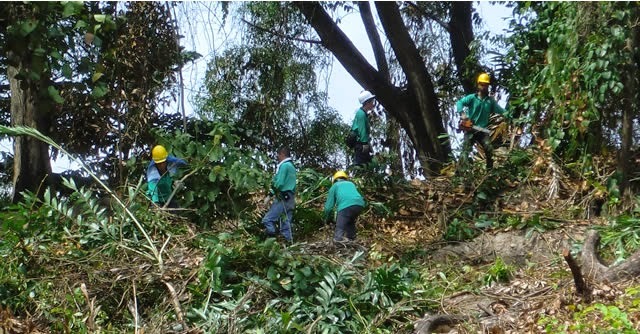 Look at the lumberjacks & workers clearing the forest on the hill. As the land is right beside the train station, it is a very valuable real estate worth hundreds of millions. Perhaps the hybrid regime intend to level the hill in order to sell it for development especially for a condominium as you can see one on the stitched photo above. There is already a flurry of construction mania going on in this tiny island. The hybrid regime is selling as much as possible before it losses power & my guess is that this hill razing & leveling is another of their greed projects. Down with the man-in-white in his ivory tower. Remember the man-in-white wizard Saruman in Lord of the Rings? Too bad there's no Ents to protest against the deforestation & march against the man-in-white elites.